My cousins used to play the then newly released Warhammer Fantasy Roleplay pen and paper-RPG over at my grandparents house during the school breaks in the eighties. Despite being much younger than the others I was allowed to participate, but only if I played as a dwarf (in fact everyone in the group were playing dwarfs as they were supposedly stronger and tougher than the rest). I’ve always been more of an elf guy but nevertheless Warhammer got to me and I have been a sucker for it ever since. It is therefore with great joy and pride I now – 35 years later – take part of the dev team behind Vermintide and Vermintide 2. My gamertag is Alouatta. Please feel free to add me and carry me through a GOW4 Horde game while we chat about all things Vermintide. When making a sequel, you will eventually have to answer the question of how much to add and what to keep from the first game. Some improvements were easy to decide upon. More content being the most obvious one. The Warhammer world is immense and multifaceted and we have still only scratched the surface of all the places and creatures you may encounter in it. Other improvements we knew we wanted were better bots and enemy AI, better network code, offline mode, volumetric rendering and new weapons, to just name a few. But we also knew that we had to keep some things from the first game. We chose to stick with the characters from the first game, as we felt they really connected with our audience. The story of our dysfunctional band of heroes had not been fully told. This bickering bunch of misfits simply had to stay for the sequel. For Vermintide 2, however, we gave you as a player more options for them as you are now able to choose a career path and use passive and active abilities, unique for every character. But some decisions were trickier – how much should we meddle with the controls? Or the core combat? The UI? Many of you are passionate players who have spent hundreds or even thousands of hours in this game – would you appreciate the changes? That has been a recurring question during our dev meetings and not one that is easily answered. That is why we need your feedback. Sign up for the beta and make your voice heard. Warhammer has a very dark, gritty and visceral lore. It is a game world which shines when you have enough hardware power to do the visuals and audio justice. The Xbox One X version has allowed us to set the bar for the visual content even higher, something you will notice when you explore the burning streets of Ussingen, readying yourself for the incoming charge of a Chaos Spawn. 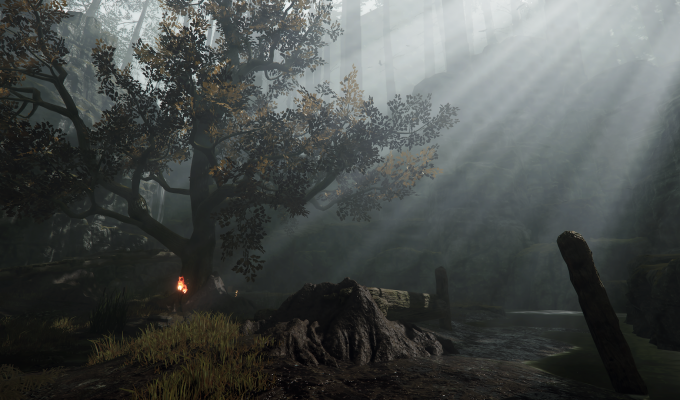 You can already now see some of the improvements through our recently released patch for Vermintide, which included support for the Xbox One X. This means that 4K textures, better AA, improved frame rates and much more has been added. Thanks for playing and caring!